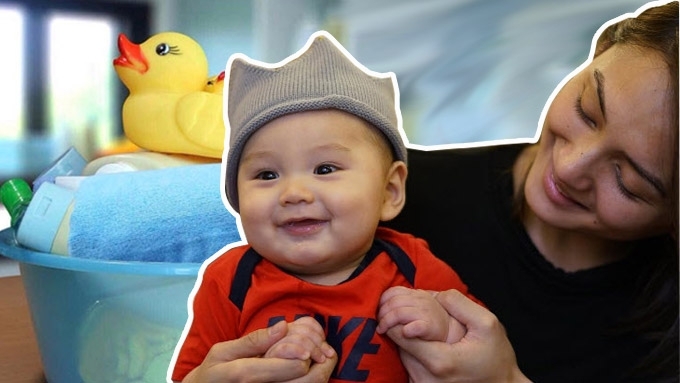 New mom Iya Villania on bath time with Primo: "Practice makes perfect!" For first-time moms, one of the most daunting tasks they have to hurdle is bathing their babies. There would always be a lot of slipping and sliding going on, because the little ones simply refuse to sit still and are always moving around. 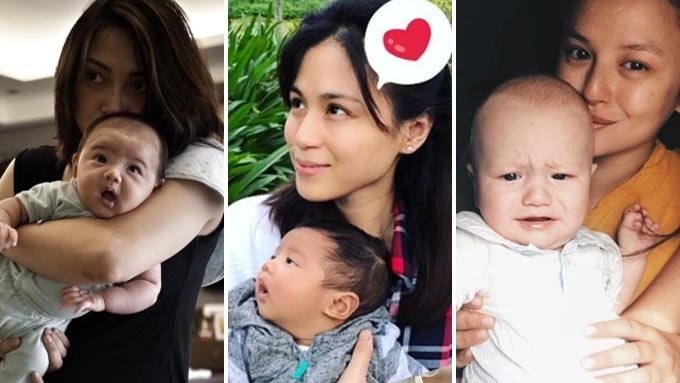 New mom Iya Villania-Arellano recounts how she had already experienced this first-hand with her son Primo. 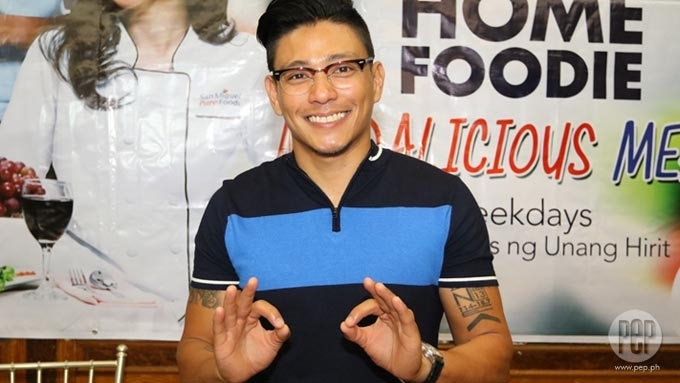 "Ang hirap talaga because he’s all over the place," she confessed during a BabyFlo event at the EDSA Shangri-La Hotel in Ortigas last Friday, May 19. This marked Primo's first public appearance with his parents, Iya and Drew Arellano. Iya continued, "Ang likot! Gusto ko i-scrub yung likod niya, 'tapos haharap siya! "Then you want him to stand up, so you can wash his bun, but he wants to sit down. "I have to say mas mahirap pa pala itong age na ito kasi ang likot niya!" But while bath time seemed to be an anxiety-filled task for the celeb mom, this actually turned out to be one of Primo's favorite activities for the day. The eight-and-a-half month old boy has developed a love for the water. Iya gushed, "He really enjoys his bath time. "There are times pa nga, he gets upset when you take him out of the water na. "At saka minsan, ano e, when we bathe him at night, yung pinupunasan na namin, inaantok na siya." Iya on baby's effect on marriage: "Lumala ang pagmamahal"
PART OF THE FUN. Even if bathing time seems like a tricky activity, Iya advises fellow first-time moms to "try to get in there, try to be hands-on." The Kapuso host-actress related, "I would say practice makes perfect. "I’m just glad that even when he was a newborn, I was already getting the hang of bathing him. "As they grow, you come across these new challenges na, ‘Ay, hindi na siya kasya sa paliguan niya,’ so you have to find a new puwesto. "You have to find a new way. Kailangan mo gumawa ng panibagong style. "I just roll with the punches. "It will be difficult. You’ll come across those challenges. "I guess it’s just a part of the fun." In Iya's case, it paid off by starting to practice while her baby was still a newborn. For her, this was the perfect time to study how her baby moves around in the shower. "You might never be perfect at washing him, but at least you’ll be confident with how he moves. "Hindi ka mabibigla kung bigla siya dumapa or kung bigla siyang dumulas. "Alam mo na kung paano siya hawakan." "You gain more confidence," she asserts.